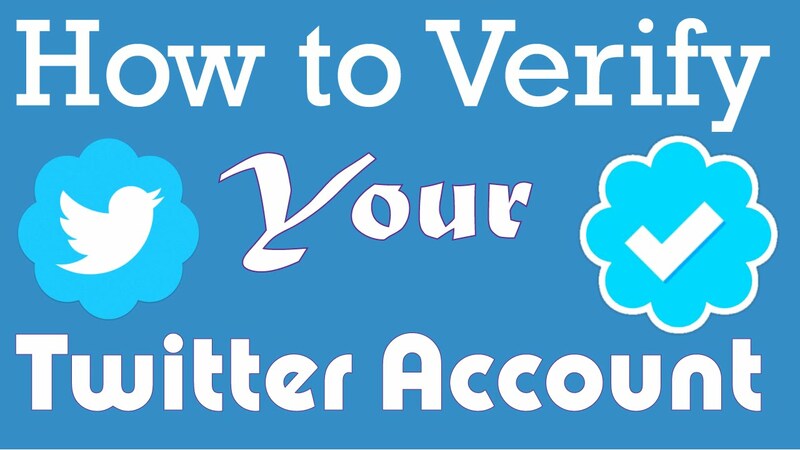 How to Get Your Account Verified on Twitter ? Finally! It only took Twitter about 10 years, but they have finally opened up account verification to the non-elites. In the past, the only way to get a Twitter account verified was to know someone at Twitter. Seriously. I once asked a musician with the magical blue verified check mark next to his name how he got verified and he said it took him hiring a publicist who had an in at Twitter to make it happen. Twitter has announced that it is opening the blue checkmark to everyone. And for that Twitter offers its users to request a verified account by filling out a simple form. Where users have to provide the useful information. Who gets Verified Twitter Account? Public figures like TV, film, music band or musician, fashion, government and people who represent the government, media, politicians, sports person, individual business and few more who are well-known and has a public interest in his/her or its field. A couple of information will require submitting an application, which showcases the identity of a person or business. Here some common attributes are included to verify an account, which is recommending a profile an account. If the application to verify the person account, then his / her Twitter account must have a real name. Or the application to verify the business, then its Twitter profile must have an actual business name. If the application to verify the business, then it must have to associate with the business email ID. A profile must have a profile picture and header which represent the brand of an individual. While submitting an application to verify a Twitter profile, a team may ask to provide additional information to examine the data and process further for the application. This additional information will help Twitter to understand the popularity of an individual among his/her followers. Twitter may also ask for the reason to verify the person profile. If the individual is representing a business, then individual has to provide information about the objects and company goals to achieve as a public figure. In support, an individual has to provide links which represent and highlighting a popularity of individual profile. Providing newsworthy links may help to simplify the Twitter verification process. Twitter may ask to submit a scanned copy of government id like a passport or driving license to identify the individual before providing blue badge to the Twitter profile. Follow 2 step verification process and fill the require details to complete and submit the twitter account verification application. Add and double check the Twitter handle in the first step. And if the application is for a business account then mark the check box below the next button. In the next step, add details about the supporting URLs which highlight the popularity of an individual and short bio up to 500 characters as an introduction of the account holder. Last and in the list, verify all the details and click on submit request button. Now wait for the Twitter response. In few days the Twitter team will contact via email. In a case, if the application is rejected then not to worry. After 30 days of the rejection request again with accurate details to verify the twitter profile.